Mild curiosity mixed with a very good deal got the better of me and I now have a Waterman Carene. The Carene is one of the older pens in the Waterman lineup and features an inlaid nib like their flagship Edson pen. 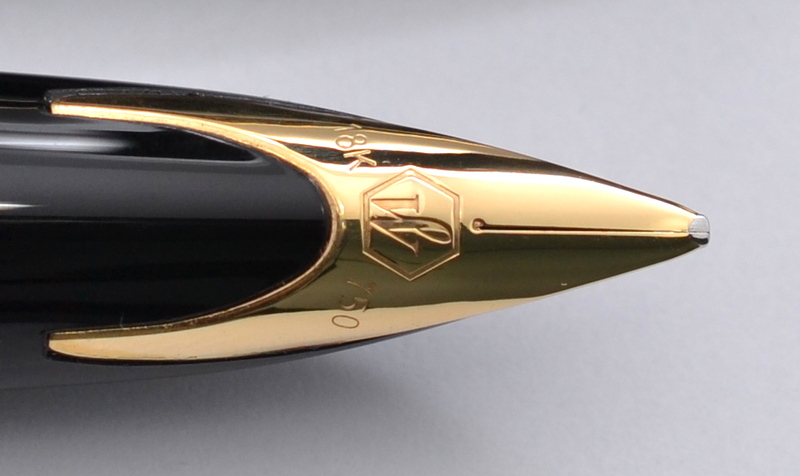 Carene in French means “hull” and the literature for this pen states that the Carene is inspired by “luxury yacht design”. The ends of this pen do bear resemblance to the bow and stern of a yacht but other than that there are no cues to signify a nautical theme. The pen has a metal body covered in black lacquer and weighs a hefty 33 grams. 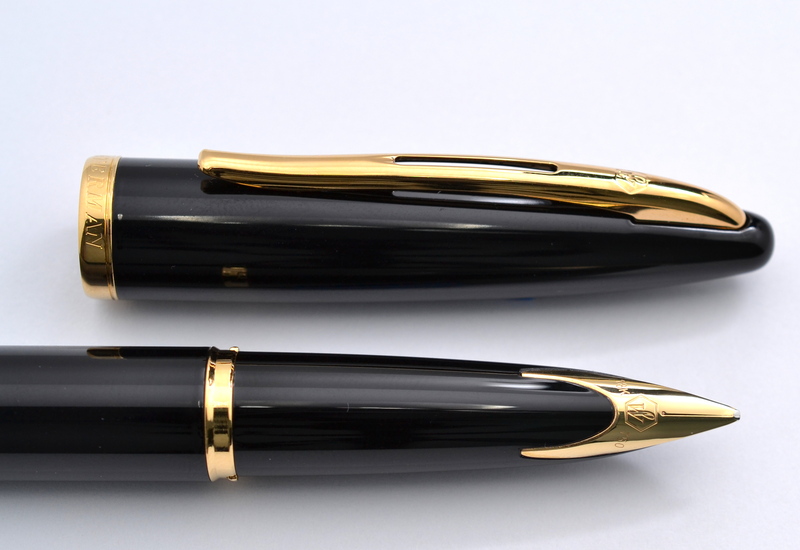 The Carene measures 5.7″ capped and is a nicely balanced pen posted or unposted. I did find that you have to push the cap onto the barrel with a bit of effort for it to stay posted. The real star of this pen is it’s beautiful inlaid nib. It is solid 18kt gold with a stub point made in house by Waterman. The nib is a nail but performs very nicely. It is on the finer side for a stub and is quite forgiving on paper. The downside is that you get a little bit less flare but more usability overall. 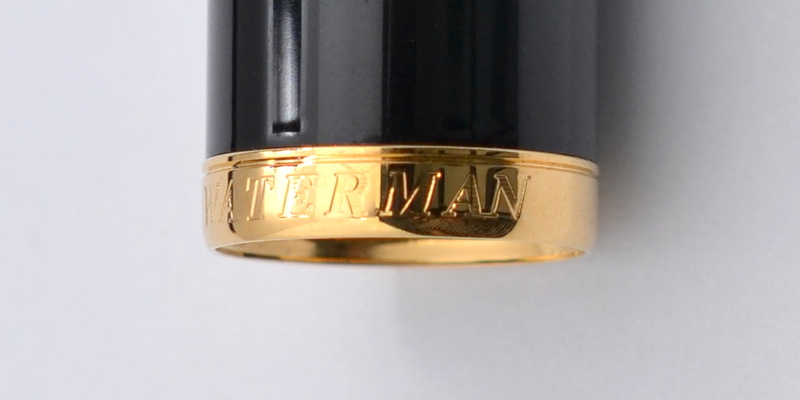 The Carene like all modern Watermans uses a cartridge converter system. The pens comes with a Waterman branded converter as well as a box of 6 Waterman ink cartridges. The build quality of the pen is excellent. There are no flaws in any of the materials. The section has two rubber o-rings on the threading and I found that these made it difficult to get the nib in line with the gold tail of the barrel. Amazon UK (no affiliation) had this pen for sale brand new for 60 GBP (approximately $90 USD) and at that price I couldn’t pass it up. Even though this is an excellent pen by all accounts, I didn’t end up bonding with it; it’s boring. If this pen had some personality it would be a home run. With a street price around $220 it’s definitely a pass for me. At $90-$100? It is a lot of pen for the money but I get more enjoyment out of pens like the TWSBI Vac 700 and the Pelikan M200 even though they are not made as well nor adorned with gold nibs. Have heard this model suffers from leakage from the breather hole. Did you experience anything like that? Thank you for your comment. I have not had any leakage problems with my Carene but after a quick search I see that many others have had leaks. Yikes! I do know that Waterman has very good service and I suspect they would fix any leaky pens. Good and honest review, thanks! I must like boring pens then, because I love my Carène (and my Parker Sonnet, another “boring” pen, I guess). Mine doesn’t leak (yet), and the very smooth nib is neither too wet nor too dry. I have a Fine nib, btw. Hi Johan, thank you for your comment. What is boring to me may not be boring to you and vice versa. My taste in pens is always evolving, sometimes for the better and sometimes for the worse. 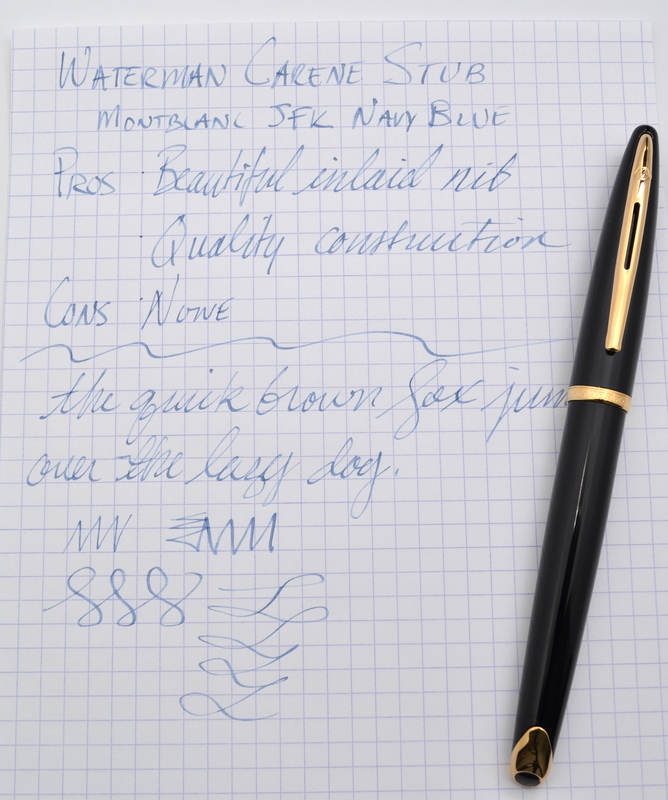 The Carene is a great quality pen and a nice writer but it just didn’t tickle my fancy.